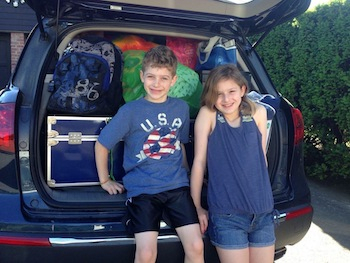 Lucy's Love Bus : Get Involved : KidsCanGiveToo! We always knew that kids were awesome, but they continue to show us just how fantastic they are more and more each day. 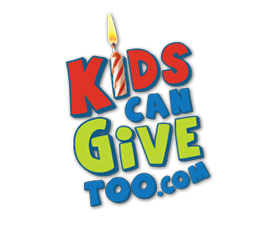 At KidsCanGiveToo.com, they can register their birthday party and choose a charity. Through an online experience, they invite guests to their birthday party and instead of wrapped gifts they make monetary contributions. All of the monetary gifts they receive are split between the child and Lucy's Love Bus. While it’s quick and simple, the difference it could mean for the work we do here is significant. Stay tuned for more about our KidsCanGiveToo.com Kids and the wonderful things their donations help us achieve. For more information about planning your own child’s party, head to the site for details, and directly to our landing page to register a party today! Thanks to these Kid Rockstars for donating their party money to Love Bus! 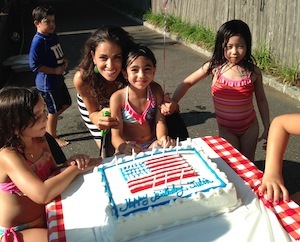 Generous Julia raised $245.16 from her birthday party! That equals 15 gymnastics classes for one of our kids! THANKS JULIA! Joyful Judy was the first kid to choose to raise money for children with cancer rather than receieve presents during her birthday party! Rachel raised $262.50 for our Love Bus kids- that's 20 guiar lessons! THANKS JUDY!